In the nineteenth century, Paris was the centre of the art world. The hundreds of Dutch artists who travelled to the French capital between 1789 and 1914 included Jongkind, Breitner, Van Gogh, Van Dongen and Mondrian. Their encounter with French artists and a wide variety of art, styles, motifs, techniques and ideas brought about fundamental changes in their work and thought. Those who travelled to Paris brought new insights back to the Netherlands on their return, but also left their traces behind in France. 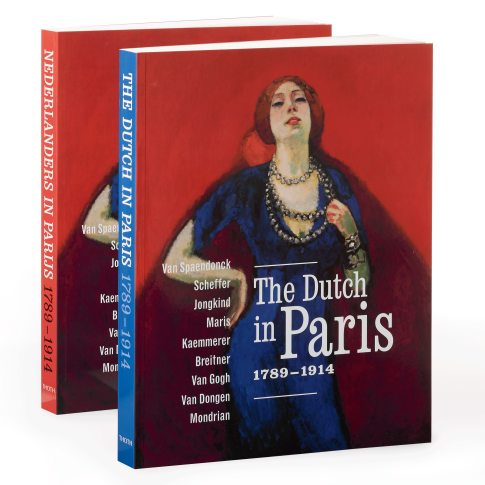 By examining nine Dutch artists who spent longer or shorter periods in the French metropolis, this richly illustrated book explores an era of stimulating artistic exchange and sheds new light on the circumstances that turned Paris into a melting pot where the foundation was laid in the nineteenth century for a truly international art. Half price special offer: was € 29.95, now € 15.00. Soft cover, 270 pages, available in English and Dutch.